Identification: Upperside of male forewing with blue only at inner margin; hindwing blue with scent patch at base. 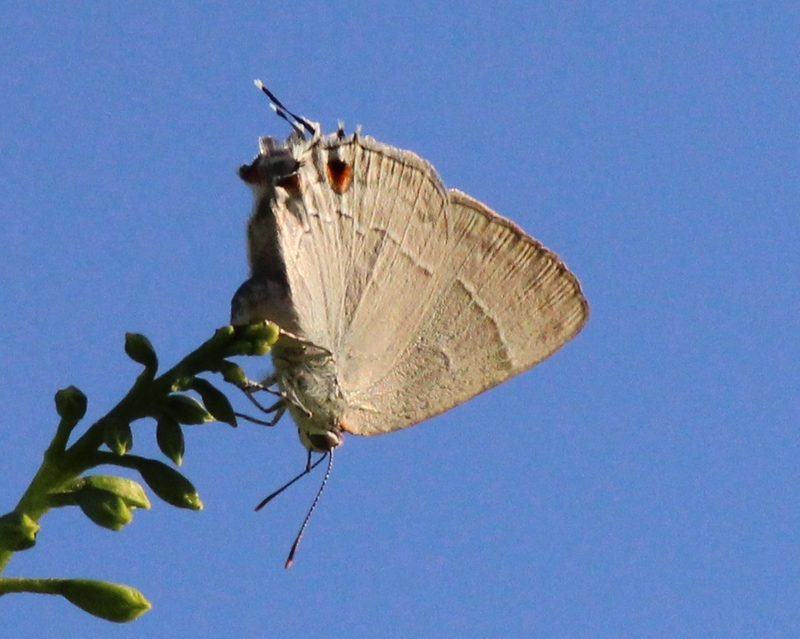 Female gray above, pale brown below. Flight: All year in Central America; Texas stray was reported in November. Caterpillar Hosts: Flowers of plants in the Malpighia family. Habitat: Dry and wet subtropical forests and scrub. Range: Southern Brazil north to Sinaloa, Mexico. One stray recorded in Texas.